Mt. Shuksan is often credited with being the most photographed mountain in the world, and with good reason–Shuksan epitomizes the beauty of the Pacific Northwest Cascades, combining a jagged alpine profile that looks stunning from each of its four faces, especially when seen from the west rising above Picture Lakes. One of the reasons Shuksan is so stunning is that it’s the only non-volcanic peak in the region to exceed the timberline by over 3000 feet. If you compare Shuksan to other peaks like Mt. Rainier or Mt. Baker, you’ll see how much a difference an eruption will make in the silhouette of a mountain. 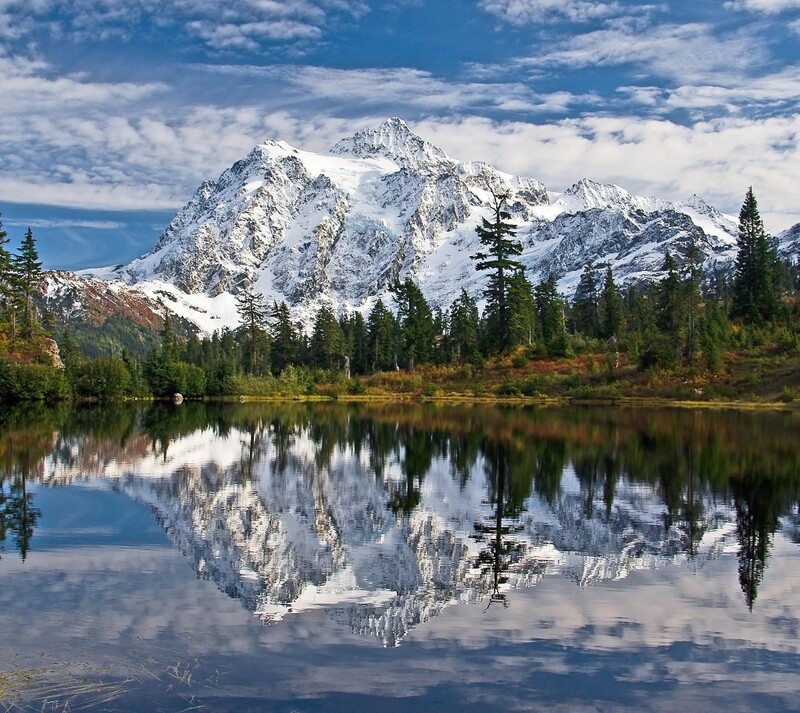 It’s no surprise that Shuksan has captivated the ambitions of so many climbers and mountaineers for decades. In addition to being the subject of so many pictures, Shuksan has even been featured in much of Washington State’s promotional material, from postcards, brochures, magazine covers, and more, as well as a number of commercials, like the 2016 Ford Explorer ad, “Tough Love.” And if you think it’s beautiful from a distance, imagine how good it looks up close. Mt. Shuksan is Washington’s tenth highest mountain, and though its elevation is less than many of the state’s notable other peaks it provides many challenging climbs, such as the Price Glacier (Class 4, Grade IV), which made it into the prestigious 1979 book “Fifty Classic Climbs of North America.” Its western face offers 4,000 feet of rock (a green-tinged basalt) and ice culminating in the three-sided rock pyramid crowning its top. There are 14 major routes up Shuksan with many variations and subsidiary climbs, meaning there is something for almost anyone. If you’re hoping to climb Mt. 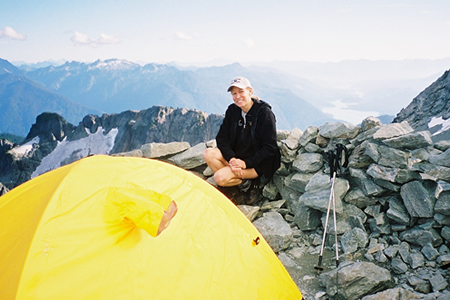 Shuksan, go with Go Trek! Our lead guide and Go Trek owner Craig Van Hoy is a Seattle native and expert in Pacific Northwest peaks, and facilitate the most satisfying, eye-opening climb of Shuksan possible. If you’re a local trying to find a challenging and rewarding trip, or a travelling climber hoping to book Rainier or other notable peaks, call us about leading your Shuksan trip!